The past few weeks have been important eye-openers for Ghanaians. They have made those who have eyes to understand what it means for a country to be under the unfolding attack of a desperate political party whose planned covert and overt agenda have lost the element of surprise. The Cedi's stressful travails of the past fortnight exposed them in a grand fashion. Those momentous days when the national currency suffered at the hands of a rampaging dollar provided for the opposition a period of celebration. If an opposition party finds such a period worthy of rejoicing it, of course, loses any sense of patriotism and the expression of love for its motherland. 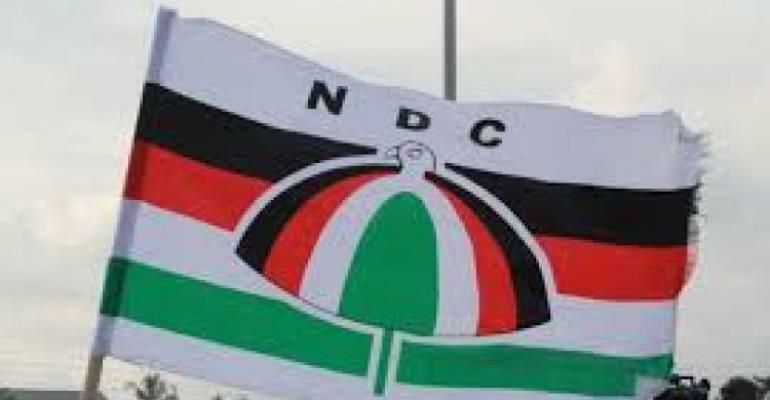 Although we knew how far the opposition NDC can go in achieving its electoral objective; jubilating under such circumstances was never part of our expectations. Opposition members did just that even as the Vice President kept his cool knowing exactly what was happening. Not even the President's assurance that the fleeing Cedi as it were would soon be arrested as he put it, could have them turn away from their devilish excitement. It was as though the collapse of the government was imminent, tied as it was, with the fate of the Cedi. The Finance Minister's two-week time bar for the end of the dollar's mercilessness provided more fodder for the opposition's derision and cynicism. There is something about the management of an economy which defies the trickeries of populist partisanship the NDC is so used to. It takes expertise and dexterity to achieve the kind of fiscal discipline and the positive results being posted under the current administration. We shall soon hear from the man fondly described as the 'Economic Prophet' when he educates his political opponents on the true nuances of the economy and what it takes to manage it with resounding results. For those who met the Vice President at the height of the Cedi's ailment, he exuded a calmness which was not only assuring but also showed a man at the top of affairs. The fleeing Cedi has been arrested. Unsatisfied with what for them is the unexpected turnaround of the national currency, the NDC has reduced what should be a serious matter to a pedantic joke 'Bawumia has gone for juju in India to reverse the Cedi's falling state'. That is the kind of opposition we have in the country. Pylons are being targeted suggesting that the covert operation is being activated. Those who discussed this approach must have a lot to tell us. Ghana, when they are not in power, should not be loved but subjected to an assortment of covert and overt manouvres. What an opposition!